It’s Day 17 and the plant watered with microwaved water is still healthy and viable. It is to the left. The one given untreated tap water is to the right. 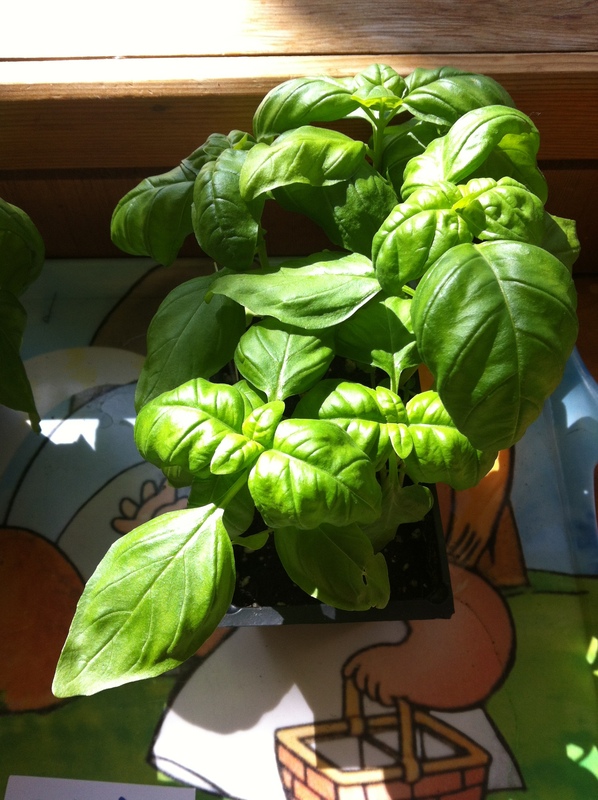 The family wants to repeat the experiment with a larger sample size and use seedlings that we sprout ourselves. 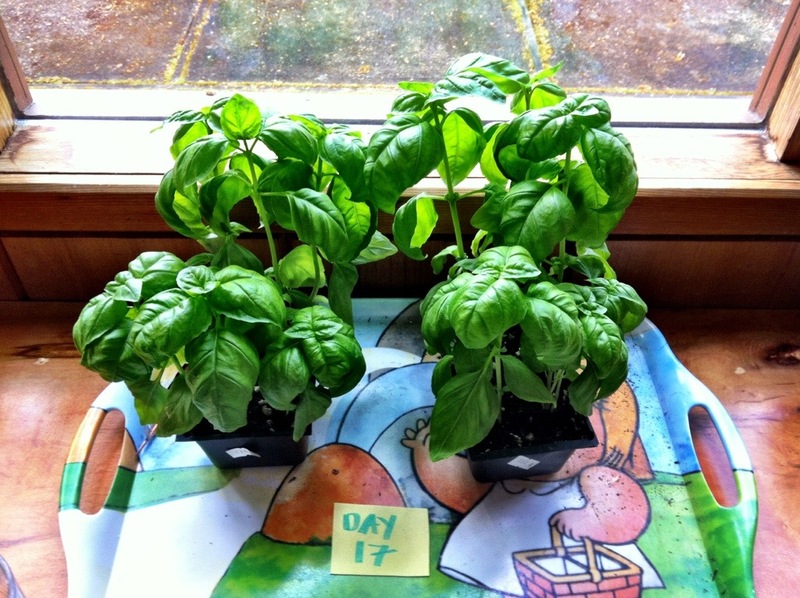 I will keep you in the loop, but for now I conclude that based on a sample size of 2, one minute of microwaved water didn’t kill our growing basil plants after 17 days. 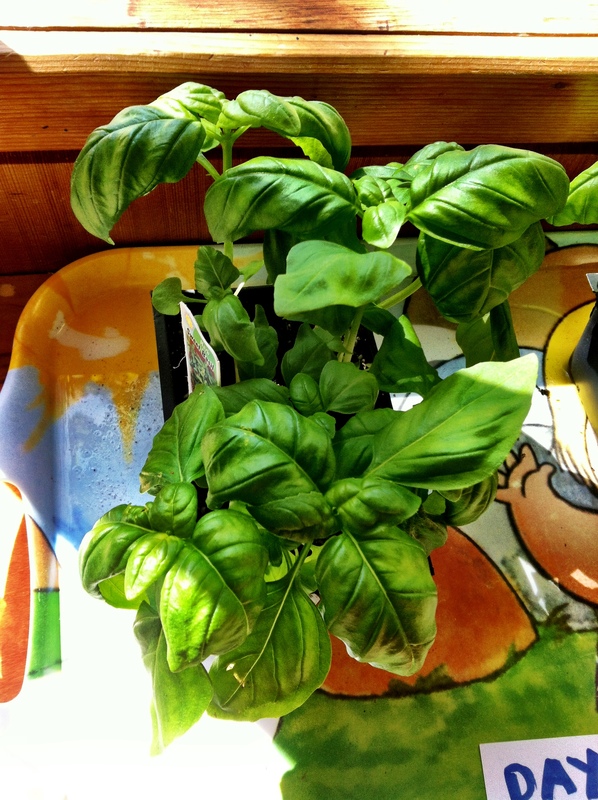 The family is ready to make pesto. This entry was posted in Microwave water plant experiment and tagged Yogi Berra on May 15, 2013 by Gurdeep Stephens. 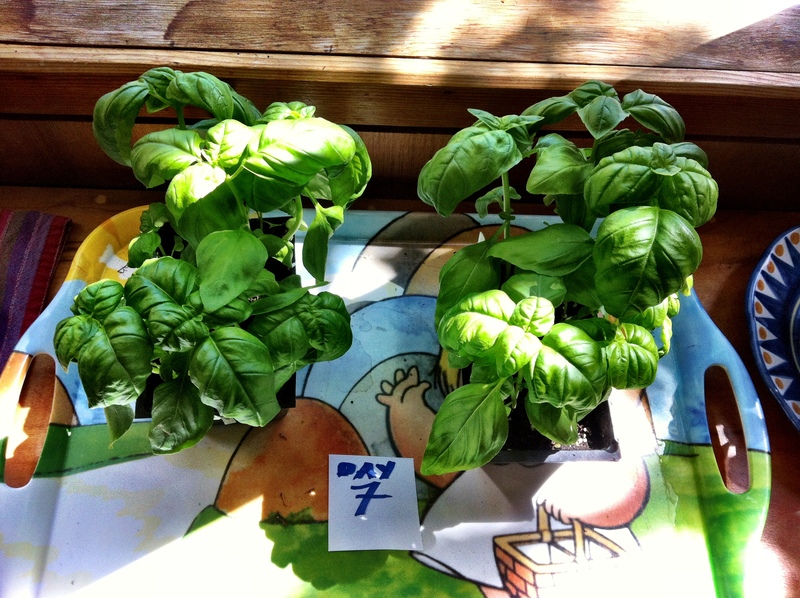 At Day 7, both basil plants viable. This entry was posted in Microwave water plant experiment on May 6, 2013 by Gurdeep Stephens.